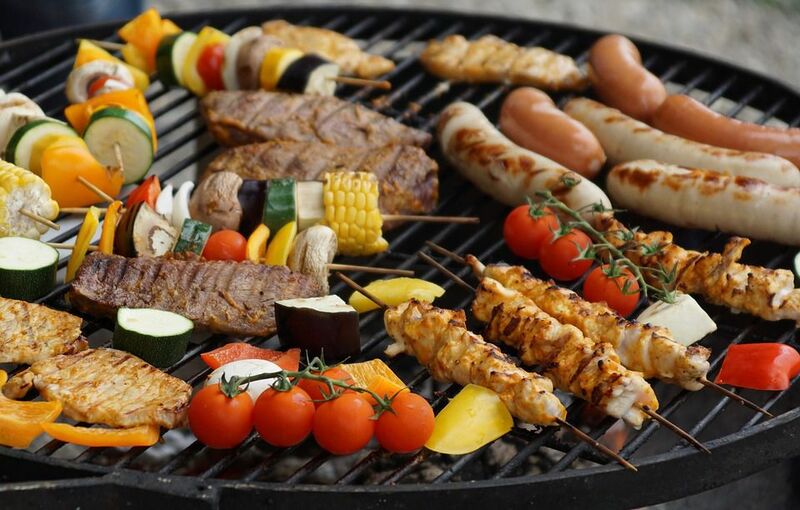 Charcoal grills tend to be less expensive and more durable than gas grills, but companies with competing products do their best to convince consumers that charcoal grilling is an undesirable method of cooking. There's more you should know before accepting their claims. When deciding between charcoal or gas, you do need to understand that gas is more convenient and generally easier to use. Charcoal, however, has its advantages, particularly when it comes to flavor and the authenticity of the outdoor cooking experience. Here are some statements about charcoal grills that are actually myths. Gas grill manufacturers often say that there is no difference in flavor between charcoal and gas. Their stance is that flavor from food cooked on any kind of grill comes from to the drippings falling onto a hot surface, burning, and creating smoke. There are major issues with this theory. Most gas grills these days don't burn off the grease as much they drain the grease out of the grill. Furthermore, taste tests done by Good Housekeeping, Vanderbilt University, and Cook's Illustrated have all determined that there is a difference in flavor, and most people can detect it in most cases. The exception is that about half of people studied couldn't tell the difference with burgers or chicken breasts cooked at high temperatures. They certainly could tell the difference with steaks. It is true that charcoal is messier than gas.You are going to get your hands dirty when you use charcoal, but the idea that your charcoal grill is considerably harder to clean than a gas grill simply isn't true. This myth is based on the idea that you don't need to actually clean a gas grill. You know the sales pitch that involves turning the burners on high for 15 minutes and brushing off the grates. Clean, right? Wrong. Gas grills need to be cleaned, and this process requires removing the grates, the heat tents, and possibly the burners. Alternatively, cleaning out a charcoal grill requires removing the grate, brushing off the surfaces and dumping the ashes. Most good charcoal grills have a way for you to empty out the ashes pretty easily. It is accurate that charcoal grills take longer to heat up than gas grills, but claims that charcoal grills take up to 40 minutes to prepare are utterly ridiculous. The truth is that if you are good at building a fire and understand how your particular charcoal grill works, you can be cooking in 10 to 15 minutes. Compare this to the recommended preheat times for most gas grills, which are also 10 to 15 minutes. Of course, lighting a charcoal grill is more complicated and time-consuming than lighting a gas grill, but that is the classic trade-off between gas and charcoal. Several years ago the fine people at Ronco ran an infomercial for their indoor rotisserie toaster oven that showed a man trying to light a charcoal grill in a blizzard with wet charcoal and bad lighter fluid. Not only are they trying to say that grilling is too hard, but that most of us are not smart enough to do it. Don't believe the marketers. While it might take a little practice, it isn't hard to learn how to use a charcoal grill, and we are all certainly smart enough to do it. Once you've gotten the routine down, lighting and using a charcoal grill is nearly as convenient as using a gas grill. A gas grill has control valves and, typically, a hood-mounted thermometer. Charcoal grills that have lids come with vents in the bottom and the top, plus they sometimes have a thermometer. Buying a charcoal grill with a thermometer is recommended so you can better learn temperature control. What the gas grill people say is that charcoal grills have to be refueled every hour, which might be true if you have a very hot fire and not enough fuel to start with. The truth is, that most charcoal grills can hit temperatures much higher than many gas grills and hold temperatures for several hours. The key to temperature control starts with how you build a fire and then it simply becomes a matter of vent adjustment to control the heat. The truth is with a little practice and a charcoal grill is a precise cooker that is both versatile and powerful. For years we have been told to put down the lighter fluid and use something different, like a charcoal chimney or electric starter, to light our charcoal. This was wise advice when the only option was petroleum-based chemical lighter fluids. Times and products have changed, but many of us haven't changed our lighter fluid habit. Today, more than 70% of people still use lighter fluid or self-lighting charcoal, which is loaded with toxic chemicals, rather than alternatives. Bio-fuel lighter fluids do exist and because they are made from food products like plant based oils and alcohols, they don't leave harsh flavors or deposit poisonous chemicals on foods. If you still want to use lighter fluid, look for an all-natural bio-fuel lighter fluid and leave the petroleum stuff on the shelf.